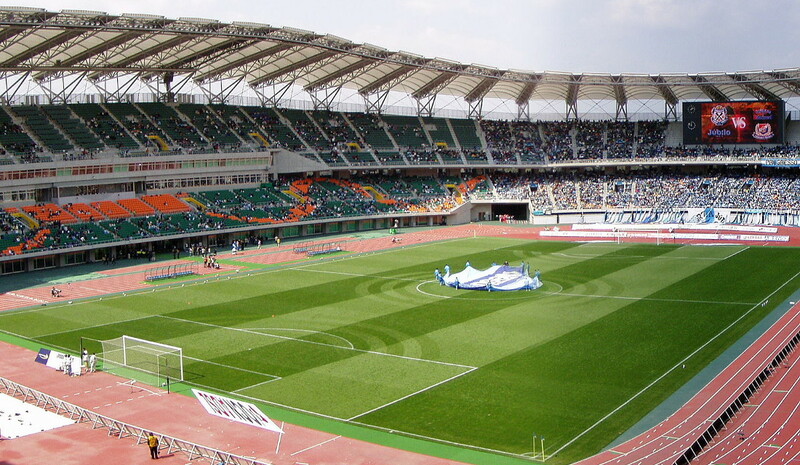 Shizuoka Stadium ECOPA was built to serve as one of the playing venues of the 2002 FIFA World Cup. The stadium officially opened on 26 March 2001. During the World Cup, Shizuoka Stadium ECOPA hosted three matches, including two first round group matches and the quarter-final between Brazil and England (2-1). Shizuoka Stadium ECOPA has no permanent occupant, but gets occasionally used by Jubilo Iwata and Shimizu S-Pulse for high profile games such as the local derby. 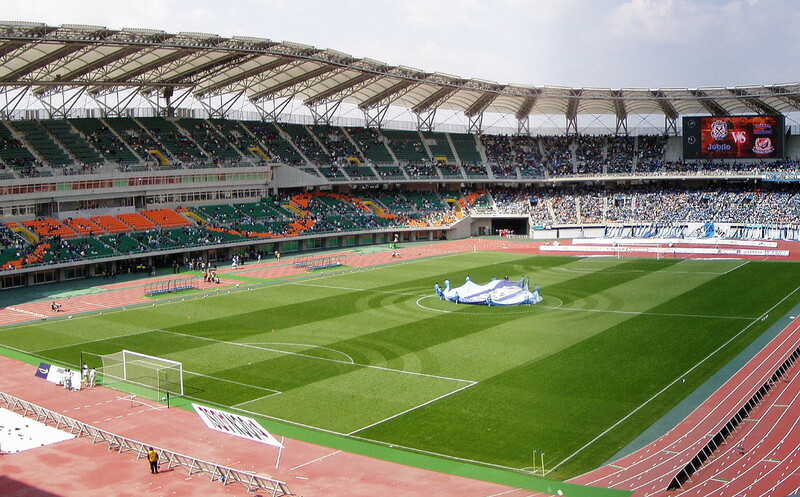 They normally play at the smaller Yamaha Stadium and IAI Stadium Nihondarai. Shizuoka Stadium ECOPA is located in Shizuoka Prefecture in between the small cities of Kakegawa and Fukuroi. The distance from central Kakegawa is about 6 kilometres and that from central Fukuroi 5 kilometres. It lies at the foot of Ogasayama Mountain Park and is surrounded by forests. The largest cities in Shizuoka Prefecture are Hamamatsu (25 kilometres west), Shizuoka (50 kilometres east), and Fuji (90 kilometres east). The stadium is best reached by car or train. Train station Aino is located a 15-minute walk away from the stadium. Aino is a station on the JR Tokaido Line, which is serviced by JR Central. Very frequent trains run between Kakegawa and Hamamatsu that stop at Aino station. The journey time from Kakegawa is only 5 minutes, that from Hamamatsu 20 minutes. Shinkansen trains don’t stop at Aino, but do at Hamamatsu and Kakegawa, from where a regional train can be caught. There are direct, but slightly less frequent, trains from Shizuoka and Fuji too, but from further afield a change will be required. For certain football matches shuttle buses may run from Kakegawa station. Ecopa.jp – Official website of Shizuoka Stadium ECOPA. Hyperdia.com – Japan rail journey planner.